Modifications Attorney | Snellville | Harold D. Holcombe P.C. In a divorce action, there is a “final order.” This order can be modified if circumstances change, such as a substantial increase or decrease in either of the parents’ gross incomes. Generally speaking, the courts have held that 10% is considered a substantial increase. An order cannot be changed by agreement of the parties without approval by the court. If your ex-partner decides that they will take less than the ordered amount and you execute an agreement, that does not change the order. They can still take you back to court for contempt for failure to pay. Moving out of state is also considered a change in circumstances. The list is numerous. Regardless of the type of change, a modification must be filed to change the order. A modification is filed in the county of the defendant. Contempts can be filed in either that county or in the county where the order was issued. The first step should be to domesticate the order to the county where the defendant is living. Depending on the situation, this can be as costly as a divorce because there is discovery and trial time involved. Often, you can mitigate the issues through mediation and by stipulating to the facts. Periodic alimony (not lump sum alimony) can be reduced in some limited circumstances. 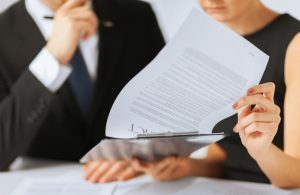 A good attorney at the divorce stage should be retained to ensure that the language of the decree is such that the alimony can or cannot be changed (depending on which side of the fence you’re on). We understand that change is a natural and inevitable part of life. If you are ready to change the parameters of your alimony payments or custody rights, Harold D. Holcombe P.C. is happy to help you. With vast experience practicing family law, we will guide you through the modification process. Contact our Snellville office today at (678) 344-0116 to implement the changes you want to make.